People always ask us why our prices are higher than some breeders. They are confused because they see cheaper dogs advertised in the newspaper. Before you buy a dog from a backyard breeder, read over these items and see how they compare. When it comes buying a puppy remember it is a life long decision. The puppy will be a big part of your life for quite a few years. 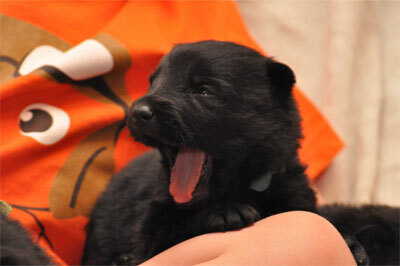 Here are some ways to identify a good German Shepherd breeder. ● will not force you to buy a puppy; instead recommends that you think about your decision and do not make a rash decision. ● will provide you with documentation showing titles, pedigrees, DNA certification, hip certification, etc upon request. ● has dogs who appear happy and healthy, are excited to meet new people, and don't shy away from visitors. ● will have a professional looking website. If the website looks amateurish, un-organized, and not updated often, then it indicates that the breeder is also that way. ● encourages you to visit the kennel, meet the parents of the puppies, and spend time with the puppies. ● breeds only one or two breeds of dogs. Breeding too many breeds of dogs usually indicates a puppy mill. There is no way a person can commpletely understand 4+ breeds. They are clearly in it just for the money. ● activily works the adult dogs. 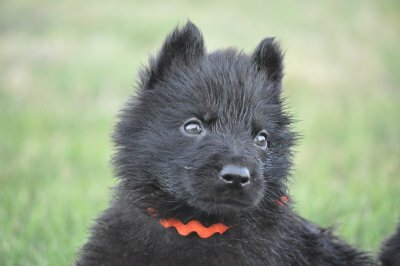 ● is knowledgeable about the German Shepherd standards (the desired characteristics of the breed in areas such as size, proportion, coat, color and temperament). 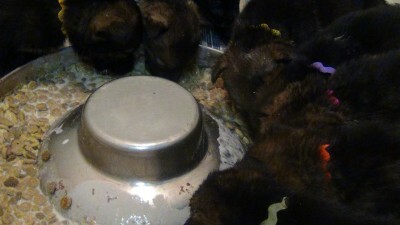 ● temperment tests all of the puppies to ensure that each puppy gets the right type of home. ● has a relationship with a local vetrinarian and is willing to give you the information. ● wants to give you guidance on your puppy and offers assistance to you whether you buy a puppy from them or not. ● can provide references of previous buyers upon request. ● feeds high quality food to their dogs. Don't be shy to ask what type(s) of food are fed. ● usually doesn't have puppies available; however, accepts deposits and keeps records of interested people for future litters. ● doesn't always have puppies available but rather will keep a list of people that are interested in future litters. ● provides a written contract and guarantee. You can view our written contract and guarantee here.